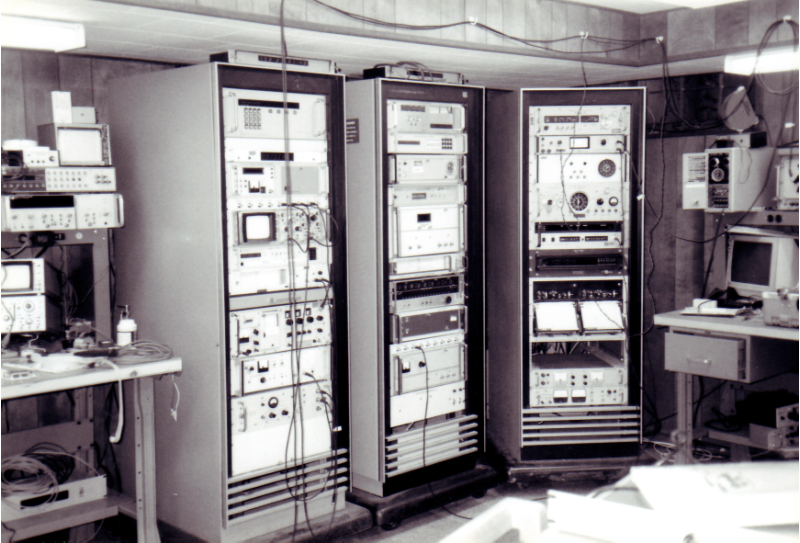 A photo of my Standards Laboratory from about 8 or 9 years ago. It’s been much modified since then. When this picture was taken, using satellites for timing purposes was not completely practical. 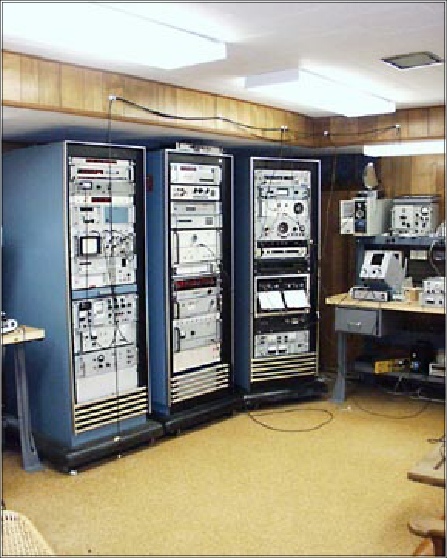 As a result, I had an ensemble of Cesium Beam Frequency Standards as well as large satellite timing receivers and WWVB frequency comparator receivers that I used for timing purposes. Now, of course, the ability of relatively inexpensive timing receivers really take the place of a setup like this. Brian Mumfords Microset Timer with the satellite receiver accessory is all that is really necessary to do precise timing of pendulum clocks. Some of the items in the racks were not really practical to use but were significant in the history of the development of precision timing.